I’ve been obsessed with eyeshadow palettes ever since the beginning of my blog and I still do now. When I received this Lime Crime Venus eyeshadow palette as a gift from my aunt CP when she came visiting last fall, I was pleasantly surprised. 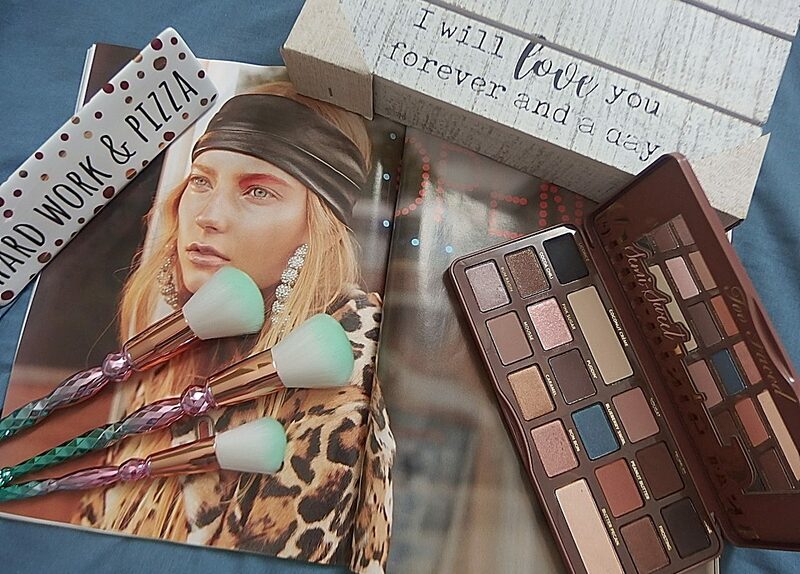 I know, I’m so late in reviewing this palette but hey, better late than never right! I’ve been having very much hectic life several months ago. I’ve been under pressured with so much to write and with so little time, if that makes sense. Anyways, I’m just going to jump right in. First of all, I’d like to talk about the packaging since it caught my attention the most, frankly speaking. Very attractive and quality packaging. Seriously, it’s insanely gorgeous and well made. The detail is exquisite. The gold foil print is a nice touch. It’s really really pretty. The inside mirror is large and beautifully installed into the lid. The only cons I see is the missing brush, but it’s not the end of the world. You know what I’m saying. The name of this Venus is called The Grudge Palette for $32.00. I believed there is another palette they have it online is Venus II and if ordered a bundle, they are selling them for $45.00 (instead of $64.00). So, it an epic steal you guys! You got to save a bundle. I was absolutely blown away by this company. It’s my first time trying it out with this brand and let me tell you that I really enjoy every minute of it. Here are the shades and color-tones I just grabbed from their website to share it with you guys. You get six matte shadows and two shimmery ones. With this palette, you can create a ton of different looks with this bad boy. The colors are very flattering on me and the pigmentation is just remarkable. Even the matte shades. I also want to mention that these colors blend very nicely and they stay on all day. If you wear them on with a primer, it will gives you a nice intense look. You can see that every shade is highly pigmented, velvety in texture and exceptionally blendable, with minimal fallout and amazing color payoff. They apply beautifully, seriously! The colors are exquisite and perfectly curated. You honestly couldn’t ask for a better set of shades when it comes to current and on trend makeup looks.I love love this palette. If you have been nervous to try these unique shades DON’T BE! They are perfect! I also like to mention that this brand is cruelty and vegan free for some beauty conscious friends out there. As usual, thank you for stopping by to read. I’ll see you again on the next one. Bye! It’s definitely cheaper by the bundle. Now, I wanted to try Venus II. bhahaha! I love the front packaging, such a beautiful painting! Definitely colors I’m a little afraid of, but I could see them really working together. I’m obsessed with this palette now. Yes, that’s true! The colors can be mixed and matched to create a summer-y look. I’ve been playing with the shadows a lot and all the looks were different.Love it! I’ve only purchased their Velvetine lip products, but I’ll have to get a closer look at this palette. The packaging is absolutely amazing! Love the shadows’ colors too! I love all eye shadow pallettes. I need them all! I enjoyed your review of this Venus palette and all of its shell inspired shadows!